Outdoor lighting can be more than a flood lamp attached to the garage. Between path lighting, up lighting, moon lighting, or grazing, your residential landscape can be displayed in the best light possible (pun intended). Many homeowners are simply unaware of the different lighting techniques that can be used. Not just as an aesthetic upgrade, but also for safety improvements. 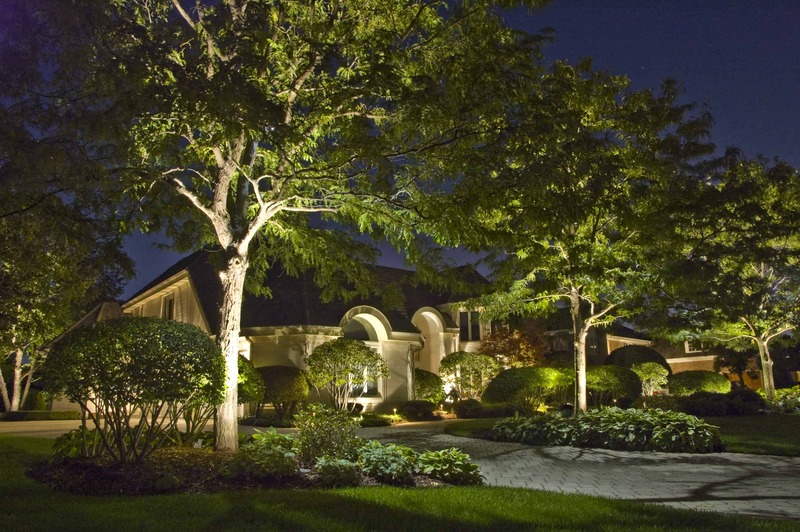 Let's take a look at the four main types of landscape lighting. 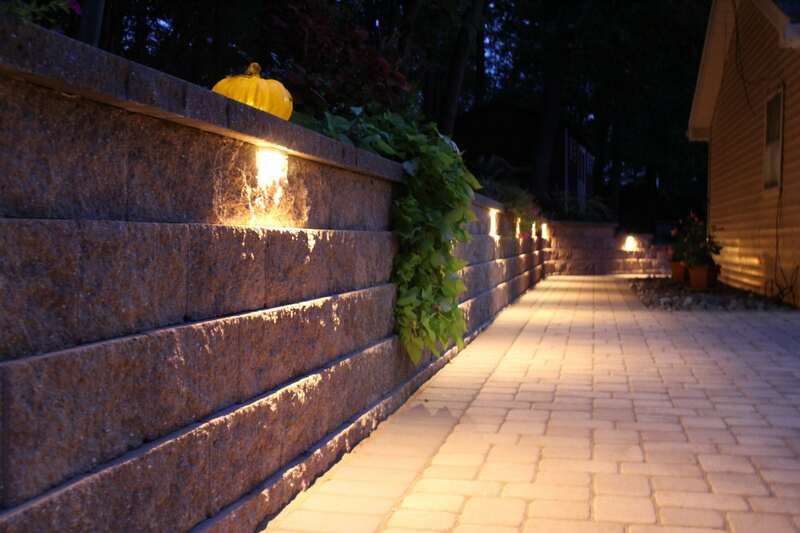 The simplest landscape lighting technique is path lighting. A variety of fixtures can be used to safely light up a pathway with both ambient light or direct light. The primary function is safety, but that doesn’t mean the walkway needs to be peppered with light fixtures and flooded with high intensity bulbs. Staggering a few bollards on each side of the path will give off just enough light while maintaining some intrigue as the bollards weave their way through the landscape. 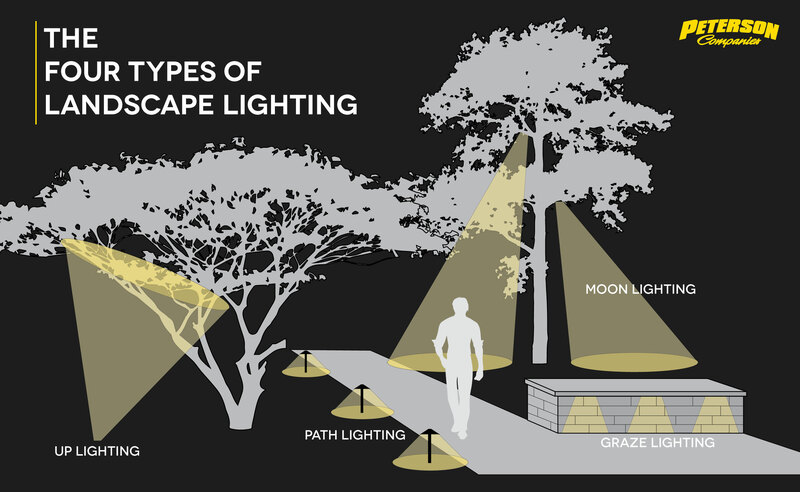 While path lighting and grazing focus on the illumination of hardscape surfaces, moon lighting takes advantage of trees in the landscape. By hanging the light fixture up in the branches and pointing it down, the tree is lit up as a focal point. Lots of ambient light is given towards the surrounding space and plants. As the most common technique, up lighting highlights vertical elements outside. These vertical elements could be trees, flag poles, pergolas, signs, or any other type of structure that adds height in the landscape. Positioning a spotlight on the ground and pointing it up at the tree reveals all the interesting textures and colors that are normally lost at night. Even though landscape lighting is viewed as a luxury add-on, there are major safety benefits to a well-lit landscape. Employing a combination of these four lighting methods can transform a walkway, patio, or garden at night. If there’s room in the landscape budget, consider one or all four of these landscape lighting techniques.